Another day of waking up to see red all over the cryptocurrency charts. What’s happening?! Here’s a look at the latest news that is cutting into crypto investor profits today and sending the markets downward once again. Today, China is in the spotlight as they have stated they are ready to take out trading of Bitcoin and cryptocurrencies in general. In the past China outlawed initial coin offerings (ICOs) and cryptocurrency exchanges. Chinese traders looked outside the country to exchanges in South Korea and elsewhere abroad. Some businesses simply moved to Hong Kong to escape the crack down. However, the Chinese government is now looking like they may also ban its citizens from using foreign exchanges. While there are ways around these sorts of bans, it can be technically challenging about beyond the capabilities of some crypto investors. The problem here is that China has a massive population and cutting those people off from cryptocurrency investing could take a lot of money out of the market. There is no accurate estimate of crypto traders in China, but a lot of the daily trading volume has been attributed to Asia in the past. Last week some major news came out that also affected prices. Several major American credit card providers put bans on cryptocurrency buying with credit cards. This was in part due to a current investigation that is going on in regards to Bitfinex and Tether. There are some allegations of price manipulation of the Bitcoin market in late 2017 that led to its all-time high of $19,900. Buying investments on credit seems such an odd thing. The interest on the purchase could wipe out any profits over time. It makes sense that many banks would ban credit card purchasing of cryptocurrencies. Because of some unscrupulous individuals who were creating deceptive Facebook ads for cryptocurrency investment opportunities, a ban is now in place. Facebook has now blocked all ads that pertain to Bitcoin, Ethereum, Ripple and other cryptocurrencies. What was allegedly happening was that people were creating crypto ads and using their own referral links in the ads to generate income for themselves. This was couple with deceptive promotional practices. Facebook determined that it was time to strike them from the platform in order to better protect its users from fraud. That investigation into the alleged market price manipulation could have massive implications for the price of Bitcoin and other cryptocurrencies. An anonymous report was published today talking about the effect of Tether on Bitcoin and what the real price of Bitcoin may be if Tether is found to be fraudulent. Let’s back track for a second and talk about Tether. Tether is a crypto that is supposed to be a one-to-one ratio of US dollars. That is, Tether should have in its bank accounts as many dollars as tokens it has issued, coins it has “minted.” There are allegations that they were issuing far more currency than they had in their bank accounts. A couple of their accounts were frozen by banks they dealt with. Then some subpoenas were issued to Tether and Bitfinex, the exchange that owns a majority stake in Tether. It is alleged that Tether was simply printing more and more coins, without having the US dollars in the bank as it should have. Some regulators believe that they may have been doing this to manipulate the price of Bitcoin upward. No one will know for sure until the Commodity Futures Trading Commission comes to a conclusion and findings are made public. If you’re more an X-files sort of fan then you’ll love a conspiracy theory making the rounds. It is said, in some circles, that there is a conspiracy between mainstream media, and global financial institutions. The conspiracy goes on to say that the mainstream media is throwing up FUD about cryptocurrencies in order to drive the prices down. Then, when prices are at a specific low, financial institutions will pour money into the cryptocurrency markets. The price will go up, and then they will pull profits. While some of that might be true, it seems almost too outrageous to put much faith in. Also, would they really risk being caught in such a blatant market manipulation scheme? Could it even be proven if it were in fact true? Regardless, the bottom line is that it is sinking. At present 97 of the top 100 cryptocurrencies by market capitalization are down today. Surprisingly, Tether is up 0.47%. SmartCash is up 2.26%. XPlay is up a stunning 36% and has a one day chart that looks like an EKG readout. That’s one of the adult entertainment coins by the way. The major losers today are lead by DigixDAO, tied to DGX which is one token per ounce of gold, down 39%. Nano down almost 34%, ICON down almost 30%, and 0x which is down 29%. 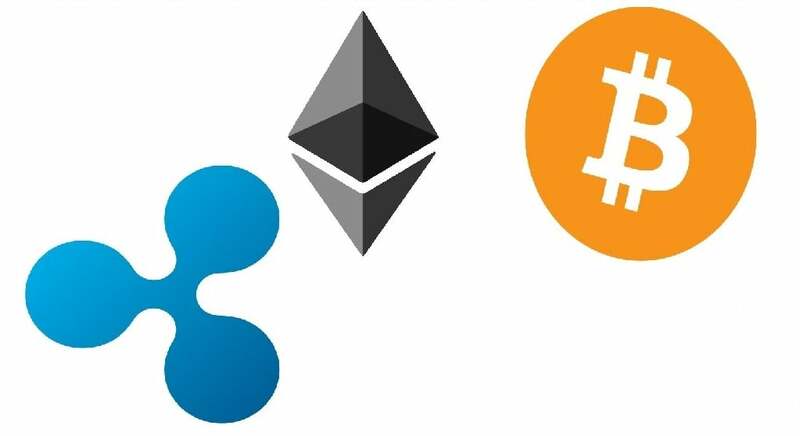 Bitcoin is down 13.6%, Ethereum down 17.3%, Ripple down 14.6% and Litecoin is down 13.7% on the day as well.